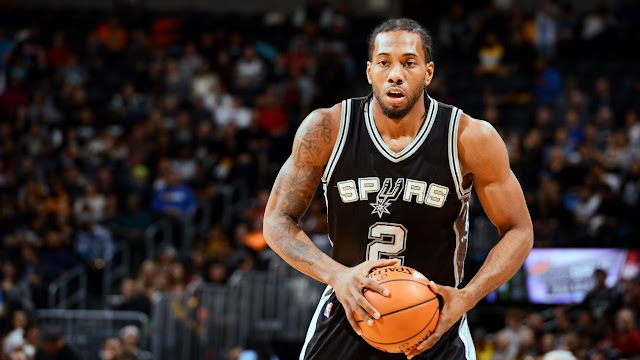 NBA – Spurs all-star forward Kawhi Leonard suffered a sprained left ankle injury in Game 5 against their semis match Houston Rockets. Kawhi did not play on the pivotal Game 6 where they blow out the Rockets to advance to the Western Conference Finals and set a series matchup against the well rest 2-time Western Conference Champion Golden State Warriors. Before Game 1 of the Western Conference Finals, Kawhi Leonard condition of playing Game 1 was question but cleared by the Spurs organization announcing Leonard is good to go in the series opener in Oracle. In Game 1, Kawhi was part of the Spurs starting line-up, he seems okay and not bothered by his injury, he was amazing together with his team mates dominating the 1st and 2nd quarter of the game posting their biggest lead of 25 points and eventually end the quarter by a big 20 point lead. 62 -42. The Spurs are looking in Game 1 on their way of upsetting the home crowd team. In the 3rd quarter the Spurs is still in much control of the game until Kawhi Leonard suffered the unavoidable injury that’s about to happen, Kawhi landed his foot to Zaza Pachulia foot who is guarding him at that time after a 3 point attempt that leads to a foul of Pachulia with more than 7 minutes to go in the 3rd quarter. That time the Spurs are still leading by 20 points when the injury happen. Kawhi Leonard aggravated his left ankle injury and was forced to leave the game, and what seems a dirty play for Zaza Pachulia it was called by the referee as an ordinary foul. That leads to a 2 point win by the Warriors 113 -111. Despite Leonard’s injury the Spurs had their chance to tie the game and went to overtime but LaMarcus Aldridge failed after missing a good view of 3 point shot. No Comment to " Kawhi Leonard Injury Caused the Spurs to Lose Game 1 over Warriors "